You’d think buying a vintage 1971 Chevrolet Blazer K5 Custom from a place called Classic Ford Broncos would raise a red flag or two; however, this Chevrolet Blazer should assuage those fears. The frame-off restoration has turned the classic off-road workhorse into a desirable SUV this writer would be eager to own. The company has a history of restoring Broncos and other classic vehicles regardless of make or model. The company is selling other Chevrolet models. The asking price is a firm $65,000 with the ability to make an offer if you so choose. There are over 20 days left on the auction as of this writing, and it looks like the listing is getting views. It’ll take a die-hard Blazer fan to gobble up this sweet deal. Details about the specifics of the restoration are limited. The posting says the Chevrolet Blazer went through a pristine frame-off restoration, and photos on eBay are all the evidence you need. The black paint scheme, bright chrome, and original wood-grained trim look stunning. The knobby tires complete the sleek look. Inside, it’s all business with a black and white contrasting interior and white leather seats. It’s simple yet elegant. Under the hood is a 454-cubic-inch, fuel-injected big block V8 engine. Horsepower and torque figures aren’t listed, but it’s safe to guess those numbers are more than sufficient. The engine pairs with a manual gearbox and four-wheel drive is available. Scouring the internet for cars–new or used—is a pastime for many car enthusiasts. Craigslist, eBay, and Facebook Marketplace are just a few places we lurk, searching for some hidden gem among expensive cars with a questionable history. 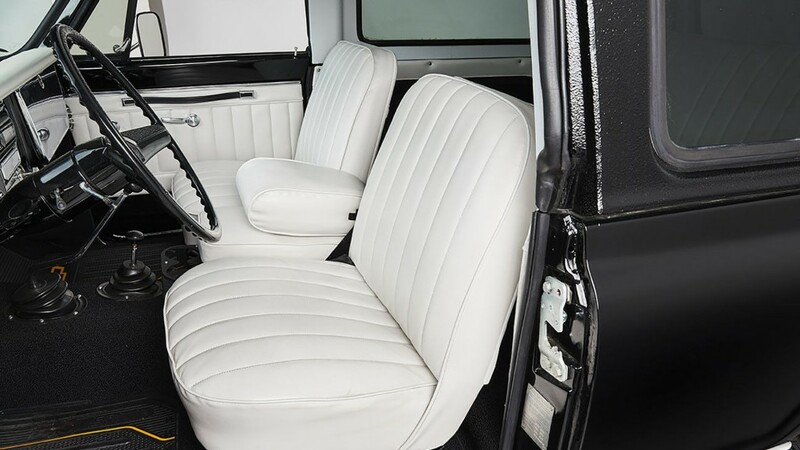 Stumbling upon something as pristine and gorgeous as this 1971 Chevrolet Blazer K5 Custom is rare even if the $65,000 price tag disqualifies many from owning such a vehicle. Then again, it never hurts to dream, right? Next story What If GM Is Planning A Buick Envoy, And Not A GMC Envoy?